Adaptive software configured to recruiter’s natural workflow. Shared software facilitates firm and client accountability. Build and strengthen the relationships that drive your business. Are your Recruiters working closest to the money or chasing purple squirrels? Every screen, every report, every workflow has been designed thoughtfully for firms who manage multiple clients. We work with top recruiters to design screens that are intuitive for technical and non-technical recruiters alike. Seamlessly collaborate with your team, clients, and applicants with one shared view of all activities across all clients and roles. One click sharing to LinkedIn, Facebook, and Twitter with tracking and recruiter attribution for sourced applicants. Quickly identify bottlenecks in any pipeline and effortlessly visualize performance by client, role, location or any other filter. Your website, third party job boards, eMails, advertising, social media – track and analyze everything from a single pane of glass. Integrated phone and text messaging that automatically updates contact records during calls and SMS conversations. Sales, account management, & recruitment operations connected across retained, contingency, or contract clients and roles. Securely built and hosted in the cloud with proven technologies, Kortivity is available whenever or wherever you are. Without Kortivity, I would have to double my in-house recruiting staff to manage and service the volume of roles from our clients. Kortivity easily saves me a few hours every week. It is super easy to use and everything I need is right were it’s supposed to be. Weekly client meetings have been transformed – there is no hiding. We all clearly see where the bottlenecks are and hold everyone accountable to our commitments. The Kortivity team continually amazes me with their willingness to explore and develop solutions that enable my team to execute and demonstrate value to our clients. We have and continue to partner with technology and industry thought leaders to provide our customers with the best solutions that the industry has to offer all directly from within Kortivity. If you are interested in becoming a partner please email us at partners@kortivity.com, we are always open to having conversations about how to improve our customers’ experience! Daxtra is a market leader in intelligent automation solutions for recruitment & talent acquisition, including high-accuracy multi-lingual resume and job parsing (27 different languages), semantic search, matching and search aggregation. Daxtra’s solutions integrate seamlessly with your ATS/CRM and are designed to reduce the time and cost to recruit, as well as improve the quality of candidates the organization attracts. The DFW Texas Recruiters Network (DFWTRN) is a non-profit professional association formed for the purpose of sharing and networking with recruiters and human resource professionals. We strive in educating our members, assisting with staffing difficult positions, offering tips to reduce cost-of-hire, developing professional skills, and for promoting camaraderie and professional discourse. Houston Area Association of Personnel Consultants (HAAPC) is a professional trade association dedicated to promoting high standards of business practices and state-of-the-art educational programs for members of the staffing industry. HAAPC continues to be recognized by the National Association of Personnel Services (NAPS for our efforts to promote education, certification and ethical business practices – the hallmarks of professionalism in our industry. The Missouri & Kansas Search and Staffing Association’s mission is to promote the interests of our members through legal and legislative advocacy, public relations, education, and the establishment of high standards of ethical conduct. Regarded as one of the top industry conferences in the Northeast, the action schedule rivals the national events. This two and a half day, action packed event will provide you with all of the tools, technologies, and best practices you need to accomplish your goals. The Annual NEAPS Recruiting and Staffing Summit brings together New England’s invested career recruiters and staffing talent. The Ohio Recruiters Association is a non-profit organization serving the search and recruitment industry by offering best practices and educational opportunities for our members. 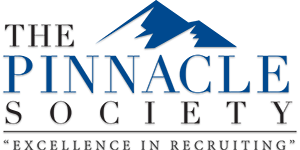 Our organization is comprised of member search firms across a number of recruiting specialties. Most of our members are based in Ohio. However, we also have a few member firms from neighboring states. If you are a small to medium size firm that wants to turbo charge your business and gain an advantage over your competition, we invite you to fill out the contact form below to schedule a personal tour of Kortivity with you and your team. Kortivity is the software recruitment platform that helps you develop genuine relationships and reach your true potential. Contact us today to schedule your product tour!